Updated scientific data on red snapper populations in the South Atlantic show that the planned area closure for all snapper and grouper species off southern Georgia and northern Florida is no longer needed. 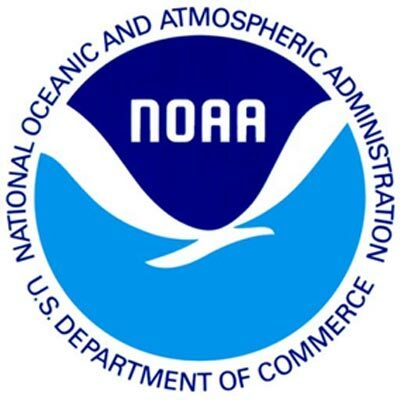 As a result, NOAA?s Fisheries Service is seeking public comment on a proposal to repeal the previously approved area closure that is set to go into effect on June 1.?The latest science suggests that the planned area closure is not necessary for the red snapper population to continue to improve, sparing South Atlantic fishermen and their families from additional economic hardship,,? said Roy Crabtree, southeast regional administrator for NOAA?s Fisheries Service. ?By using up-to-date science to manage these valuable fisheries, we will be able to keep this area open to fishing for other snappers and groupers. ?Fisheries managers originally approved the closed area in late 2010, based on 2008 stock assessment information, as a means to reduce unintended catch, or bycatch, of red snapper, the catch and possession of which is forbidden in federal waters of the South Atlantic. The area closure was purposely delayed until June 1 to allow time for the South Atlantic Fishery Management Council to consider the results of the October 2010 red snapper scientific assessment, and determine if changes to the closure area were warranted. The assessment showed that though the red snapper population is still too low and fish are still being removed too quickly, the species is in better condition than the earlier assessment indicated.Eliminating the planned area closure would not alter the existing prohibition on directed commercial and recreational catch and possession of red snapper in federal waters of the South Atlantic. Repealing the area closure would allow for the continued harvest of 72 species of fish other than red snapper in this area, in accordance with existing regulations.If not reversed through regulatory action, the 4,827-square mile area closure would take effect June 1 and prohibit commercial and recreational fishing for snappers and groupers between the depths of 98 and 240 feet, from southern Georgia to Cape Canaveral, Fla. Use of black sea bass pots and spearfishing gear would be allowed within the closed area when fishing for species other than red snapper.Public comment on the proposed rule to eliminate the planned closure will be accepted until March 21.Interested parties may submit comments on the proposed rule 0648-BA51 by any of the following methods:Submit electronic comments via the Federal e-Rulemaking Portal at //www.regulations.gov.Submit by mail to:Rick DeVictorNMFS Southeast Regional Office263 13th Avenue SouthSt. Petersburg, FL 33701For more regulation news, click here.